 Log In needed $1,995 · June 1 Main Floor of Beautiful Character House 2909 Harriet/Gorge Incl parking. Outstanding large character suite. Separate entrance, private, complete main floor. Very sunny. Enjoy the fruit trees and backyard. House has four units, Built in 1940 and meticulously maintained by respectful, attentive owners. High ceilings. 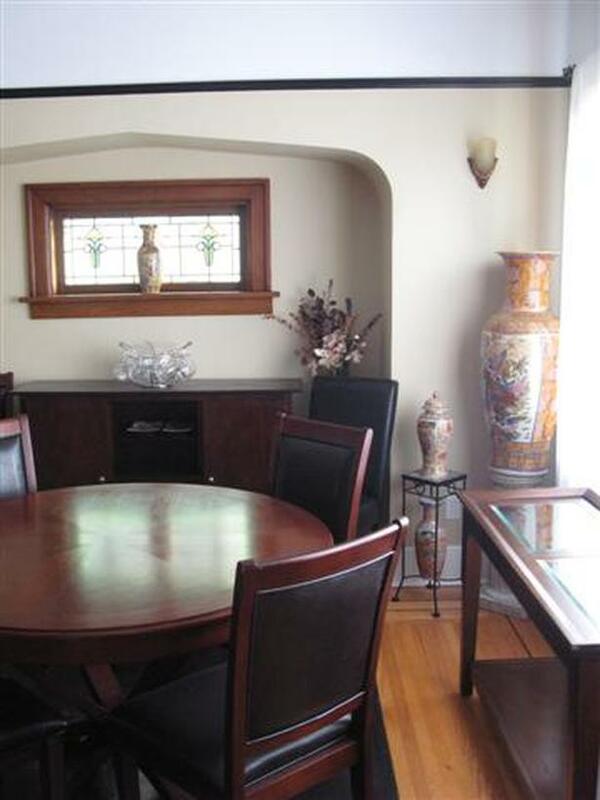 Separate dining room with stained glass and French doors. Hard wood floors. Large kitchen. Sun room facing west. Electric traditional fireplace in huge living room.. Excellent separation between living area and bedrooms. Suite renovated to respect character and charm. Rent includes one off-street parking spot. (A $50 value) Lots of street parking. We pay for water, garbage and regular garden work. You pay Hydro, separate meter for suite. Around $150 per month depending on use and temperature in Victoria. Laundry room on site. Wash $2 and dry $1. Other renters are 30+ professionals who enjoy the calm, quiet atmosphere of Harriet House. Cat is fine, but no dogs. No really. Had terrible experience. Please email telling us about yourself, and INCLUDE a contact number so we can arrange a showing.